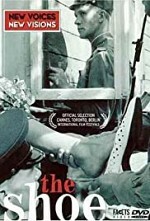 Watch The Shoe: The Shoe is set in a seaside Latvian town in the 1950s and deals with absurd laws of life in a border state. The intriguing black-and-white is a contemporary retro tale about Cinderella's slipper, which, in this variation, is found on the beach in a border zone. Russian soldiers take on the role of the prince. But who is Cinderella?